Princess & the Paper presented by A Jillian Vance Design: Heart Card! Hello everyone! I hope you're all doing well today! Today I have a super cute card inspired by my friend Allie Gower! You can check out the original version of the card right HERE This is my variation, and I hope you like it! 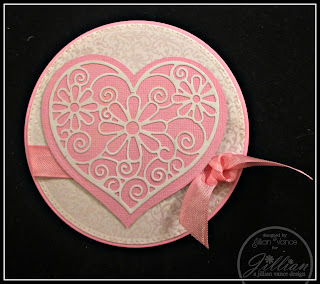 Below you can view the recipe so you can make this super cute card! I hope you guys enjoyed my card and have a wonderful day!